Maximize your manufacturer's incentives with the Incentive Optimizer! Are you tired of all the confusion surrounding rebates and incentives? Are you losing money to chargebacks? Do you want to get the most out of every deal? The ProMax Incentive Optimizer is an easy-to-use rebate and incentive solution that takes all the guesswork out of incentive compatibility and eligibility. For some manufacturers, rebates apply to over half of vehicle purchases; the Incentive Optimizer guarantees you’re getting the best deal every time. 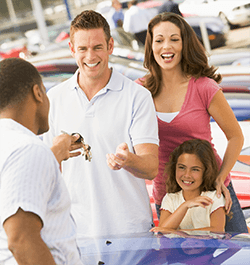 Not only does it save you time and money, it does all the work for you, so you can focus on what’s important: selling cars! Unmatched Rebate and Incentive Information – The Incentive Optimizer utilizes a comprehensive database covering most regional and standalone rebates, in addition to auto show programs and other special events. All information is updated frequently and guaranteed; if we get it wrong, we’ll pay your chargebacks! Want to double check eligibility? Rebate descriptions and qualification details are available to you at the click of a button in every step of the deal process. Maximize Rebates and Incentives – The Incentive Optimizer does all the work for you. Utilizing its comprehensive rebate database, it chooses the best combination of programs that apply to each customer and vehicle. It automatically recognizes incompatibility between programs and selects the best possible grouping. Part of your Process – The Incentive Optimizer is seamlessly woven into your ProMax system and Dealer Website. 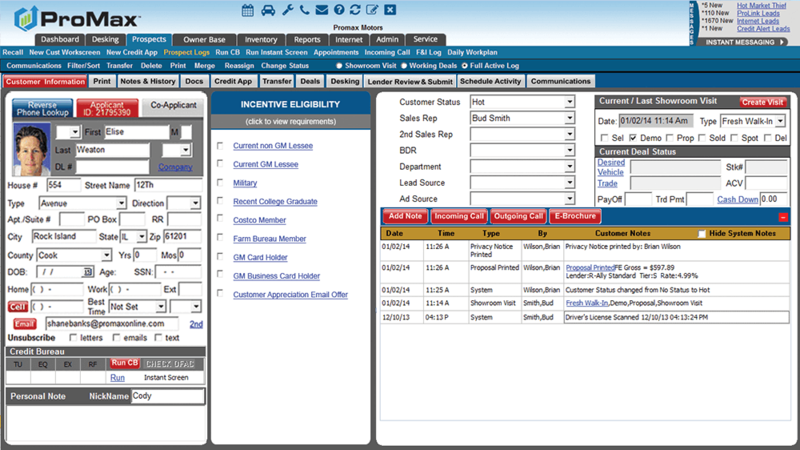 Sales reps can pre-select customer qualifications with ease while logging a customer, and this information is automatically utilized in Desking searches and deal scenarios. It ensures that you’re getting the best deal for dealership and customer right from the start. Maximize your rebates and incentives with the Incentive Optimizer!